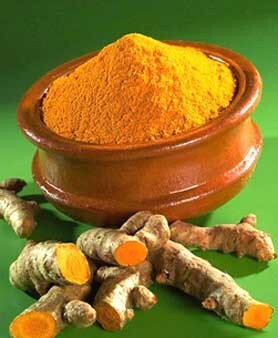 Turmeric: An Easy Way to Pass up the Asprin. – NATURES' FIRST PATH: HOlISTIC MEDICINE. Posted on June 15, 2013 June 16, 2013 by Natures First Path: Holistic Nutrition. What it all comes down to is that we really have to start seeing spices and food in a whole new light; and Turmeric is a great place to start seeing this change. Consuming turmeric root and or powder on a regular basis may be one of the best ways to steer clear of unnecessary emergency room visits. Of course it is easy to just start listing all of the benefits that Turmeric as be known (and we will get into that later) but the writer thinks that it would be good for you to hear an account of its benefits first hand. It is has been said that Turmeric is known to be an natural anti-biotic and pain reliever; so the writer tried it out for himself on a round of headaches and can say that it is tried and true. In addition to being a pain reliever, it has also been know to be an anti fungal, anti-cancer and a preventative way to ward of the progression of Alzheimers. If you are looking where to purchase Turmeric, you may find the whole root or powder at your local international grocer. How to prepare the root? You can juice a “knuckle” of it with your regular juicing regimen. if you have the powered form you can simply add a few dashes of the powder in your favorite tea. Or for all you Hard Rocks, you can simply take the powder raw with a spoonful of honey. For those who may have issues with stomach absorption, you can take a dash of black pepper before the turmeric in order to reduce any stomach sensitivity. As many of you know, there are hundreds and thousands of ways to treat the everyday ailments that we face naturally, and without all of the side effects; the challenge for us is the actual preparation of many of these formulas; in time we hope that it gets easier for you.